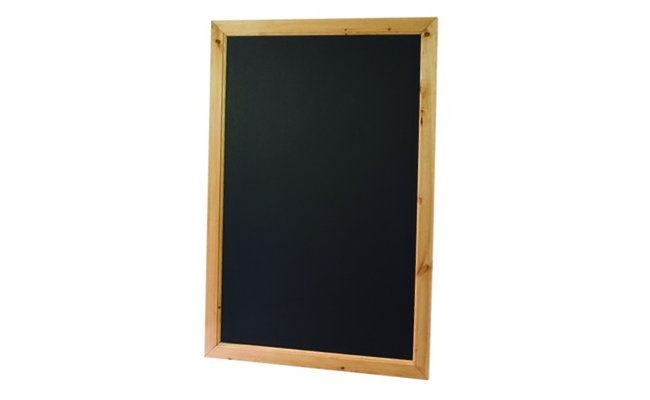 Showcase your menus and offers with the fantastic range of pub and restaurant chalkboards. Chalkboards and blackboards for pubs, bars, and restaurants allow you to shout about your special offers on food and drinks, or highlight a certain dish or drink you’re keen to promote. Why not copy the messages trending on social media and have a bit of fun with your blackboards to show that your staff have a sense of humour to potential customers? Whatever you need to communicate, chalkboards are great as you can change your messages regularly without costing too much! To go alongside your new chalkboard you may need a chalkboard pen or some chalk! Luckily at Pattersons Bar Supplies we stock these too! When it's time to change your message, if you have used permanent board markers, just simply over paint with one of our blackboard paints and your chalkboard will be as good as new! What ever message you need to communicate, Pattersons Bar Supplies' huge range of bar signs has you covered. From a massive range of online bar supplies and pub equipment suitable for pubs and bars.